*Non-express trains, aka slowpoke trains. Ticket prices vary on which train you travel by! If you are broke and want to save money, KTX trains will not be your best bet (requires a lot of $), whereas the Saemaeul and Mugunghwa trains will be cheaper (longer travel times :(). 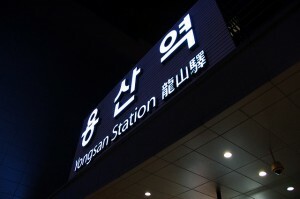 There are two main railways in Korea: the Gyeongbu Line connecting Seoul to Busan, and the Honam Line from Yongsan Station in Seoul to Mokpo. Other railroads include the Jeolla and Gyeongjeon lines, which reach areas such as Yeosu or Changwon. It’s also worthwhile to note the “KR Pass,” which is an EXCLUSIVE railway pass for foreigners which allows unlimited use of trains, including all KTX express trains. Isn’t that one heck of a deal?! 😀 Of course, you only get a certain number of days (one, three, five, seven, or ten day passes available). • NORMAL Pass: Adults and children, Children under the age of 4 ride free of charge. • YOUTH Pass: For passengers holding a valid International Student ID Card. 1.) 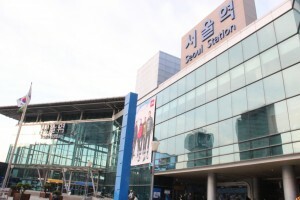 Seoul Station (서울역) – You’ll probably be going here for most of your domestic traveling in Korea. Seoul Station is the starting point of the Gyeongbu Line, a duet track line that connects directly from Seoul ↔ Busan. The major train stations on Gyeongbu Line include Daejeon, Singyeongju, and Busan Station. Many other rail lines start directly from Seoul Station, except for the Honam line, which travels to the southwest part of Korea! → Directions: Seoul Station (Subway Lines 1, 4, AREX, and Gyeongui Lines), Exits 1 and 14. • Directions: Yongsan Station (Subway Line 1). 3.) Yeongdeungpo Station (영등포) – Yeongdeungpo Station covers the passenger demand in the southwest area of Seoul (for you lazy folks that don’t want to go to Seoul Station :P). At Yeongdeungpo Station, all non-express trains make stops, and the Seoul-Busan KTX train stops at the station twice a day. • Directions: Yeongdeungpo Station (Subway Line 1). You forgot to mention 내일로 for students (Below age of 25), which is actually the cheapest way to travel by train. I don’t know much about the adult version, but it might be cheap as well. 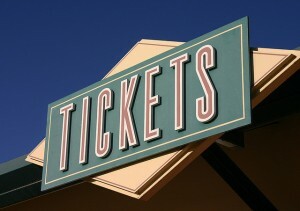 When I purchase the ticket online, does the date of arrival matters? Any idea if we are allocated seats when we buy the KR Pass? developer should always be extra cautious when installing an extension. What the cheapest budget transport from Busan to Seoul?… Where to ride in Busan? We found the S-Train, V-Train, and O-Train info on KoRail site. Do you know if we can go on those trains using KR Rail pass? Have you done any of those tourist trains? We will be arriving in Busan, and hoping to travel around a bit first before reaching Seoul. (In theory, I can do that using the O-Train pass, visiting Andong and the mountain on the way…) However, I wonder if I should try the coastal towns in S-Train is better??? I can’t decide. We will be travelling in March with 3 year old twin boys. We have just just booked tickets on the S-train. It is very new – it only started operations on 27th September. 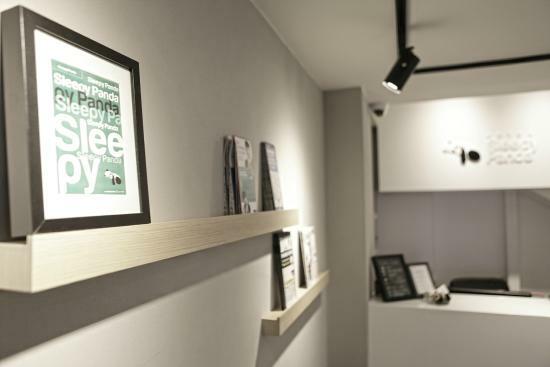 Many travel agencies and travel centres and even the Korail staff don’t know a lot aout it yet – so check and double check any information you get. It looks as though you should be ale to use a Korail pass on it – but I am still not 100% certain. I will confirm tomorrow when we travel. Hope u have had a wonderful experience in Korea. May I ask where to book the S-train ticket via website? How much is the fare? I am going to Busan with my friend early November. The S-train is more like scenic or tour train and I doubt KR e-ticket can be used. 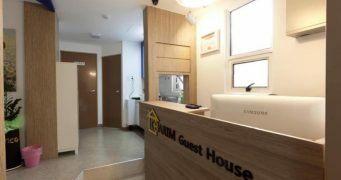 What is the price for two adults from Seoul to Busan and back? I prefere the ktx highspeed train. I will be arriving Incheon airport in Seoul. How do I catch a train to Daegu? I am thinking of going to jinhae (2 nights) and Busan (1 night) during the Jinhae cherrry blossom festival. Is this a good choice? I would like to know about the KR pass. The group 2-5 for 10 days is 166,000 won. Is that per person or split between the group? Thank you! If I buy a KR Pass will it guarantee me a KTX standing ticket between Busan and Seoul on the 18th September? I know all seats have been sold out on this day already because of chuseok. Hi. Me and my friends will arrive in Gimhae International Airport (Busan) at 10:00 in the evening. We’re planning to go to Seoul immediately upon arrival. From the Gimhae International Airport, what do we need to ride for us to reach Seoul? Thank you so much! I am going from Seoul to Jeonju. Correct me if I read this wrong: I can buy a flexible 2 day Saver’s pass and use it on the KTX to Jeonju. Is this correct? If it is not a holiday, I can sit in any available chair….correct? If it is a holiday then I have to stand…. My friends and I (4 persons include me) will be reaching to Seoul on 20 Oct 2016 and going to Busan from Seoul on 25 Oct 2016. After the trip, we will be flying back to Malaysia at Busan airport. Hence, we only need a single way pass to Busan. 1. 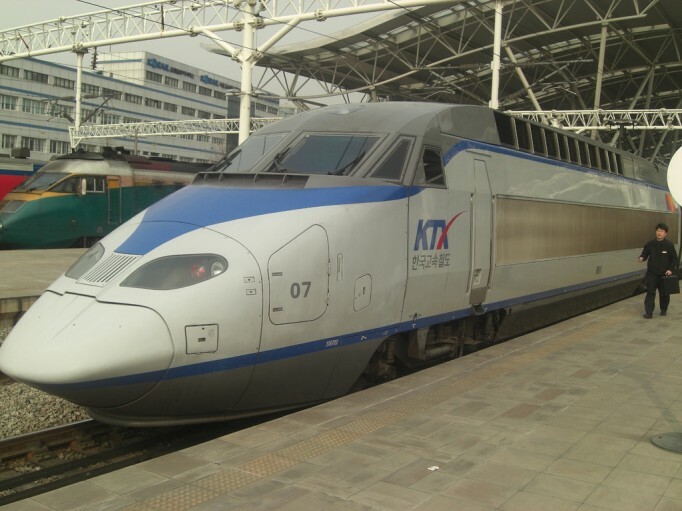 May I know should I buy the KR pass (saver pass) or normal KTX rail ticket? 2. What is the difference between this 2 passes? 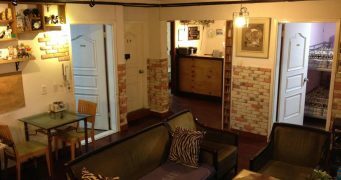 My friend and I will be travelling from Manila to Seoul on the 27th. We’ll be arriving around 12 noon at Incheon Airport. From the airport, we’ll head over to Seoul Station to take the KTX in going to Busan. 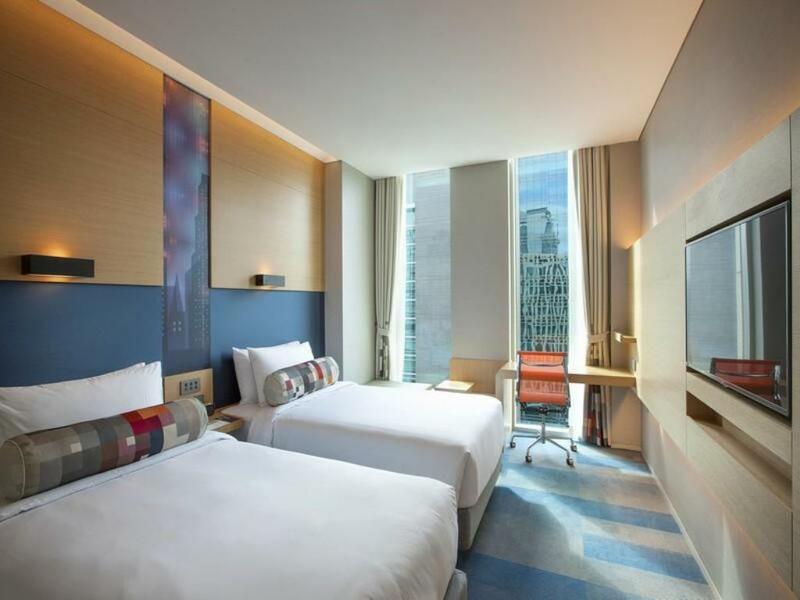 We just plan to spend a night there so we’ll be back in Seoul on the 28th. I’m quite lost with the type of ticket that we should avail. Should we get the One Day Pass? Hope you can help me out. Thank you. hi I am bringing my bike to Seoul and cycle. Can I bring my bike onto train? Must the bike be in bike bag ? 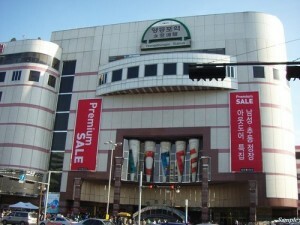 I am going to Busan with my grps of friends and staying for 1-night. Should I buy the rail tickets (does it include the return tickets as well?) or the Korail tickets instead? My husband and I are going to Seoul, Andong, Gyeongju, Busan, we are tourists from Australia, where do we purchase a Rail Pass ? can we wait until we get to Seoul before purchasing, unlike the Japanese Rail Pass we have to purchase before we leave Australia. Hi Dawn, you can reserve your KR Pass at Indiway. Great site and very convenient. I would highly recommend them. I hope I can help. Have a safe trip!